Hairstyle for Girls 2014 - Summer Edition! Hairstyle for Girls 2014 – Summer Edition! So beauties! Are you hunting for latest hairstyle for girls this summer? We fully understand how wonderfully a fresh new hairstyle can change our over all outlook and can boost our confidence but yes choosing a perfect hairstyle that suits you is definitely a difficult task. No need to be panic! Forget those salon-made hair updos with loaded embellishments to compliment your hair. 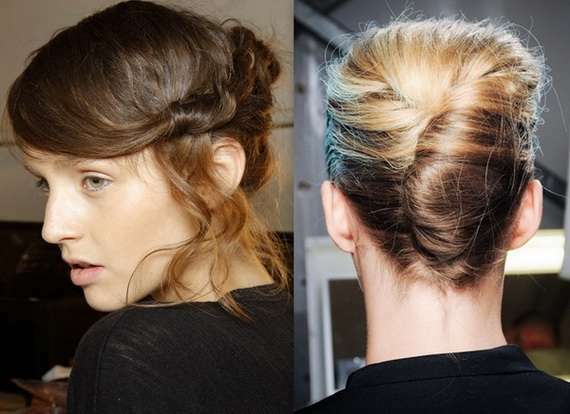 This season its all about loosing up a bit, adding waves and texture and self made uptight buns. Just enjoy these looks and browse through all of our hottest styles and choose your favorite one to get the stunning look. Take a deep look at the actress on red carpet and you’ll notice that every other actress is adoring side swept appearance. Top knot is the bundle of locks wound into the top of your head. its just a customizable super easy style excellent for casual days. They are trendy and very easy to style, works well for all face shapes and hair types. At the spring 2014 DKNY show, Souleiman created a sleek side ponytail that’s elegant, interesting, and easy to copy. If you want to take a break from your natural curls, transform them into gentle waves. While hair is still damp, apply a curl-elongating product that also provides definition and hold. 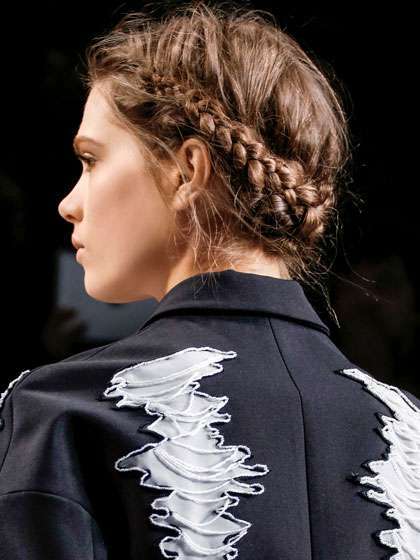 For the crisscrossed style models wore at the fall 2013 Viktor & Rolf show, longer hair (or a braided extension) is ideal. To get that roughed-up, romantic texture, prep hair with mousse before blow-drying and braiding. Secure the braids using U-shaped pins and let wisps show. The imperfect, somewhat undone result is forgiving. Apart from them, messy hair, ponytails, rumpled braids, faux fringe, bouncy spirals, messy twists, bohemian waves, undone updo are all in fashion. 4 Reasons Why You Should Cut Your Hair? How to Get Beautiful Skin Naturally?